You are looking at an unbelievably gorgeous Triumph TR3 A. This car has been subject to a full ground-up restoration done to concourse standards. The entire car is in like-new condition. The paint and body is as good as it gets, and all the gaps are great. The car shows no signs of rust or accident damage. 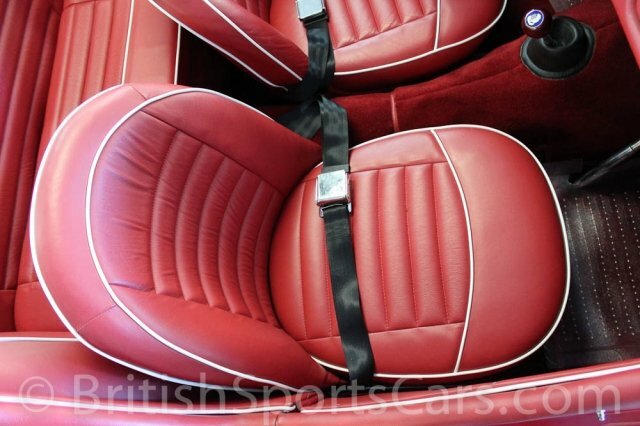 The upholstery is fully trimmed in leather and the carpets are also all very high quality. You would be hard pressed to find a nicer TR3 for sale and in this price range. Please feel free to contact us with any questions and make sure to watch the video below for more information.